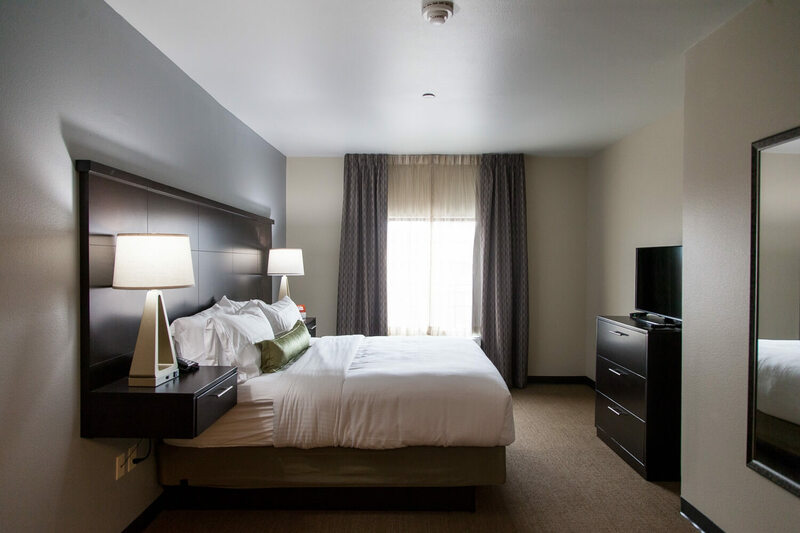 Whether you’re traveling for business or leisure, Staybridge Suites Lubbock South has you covered. 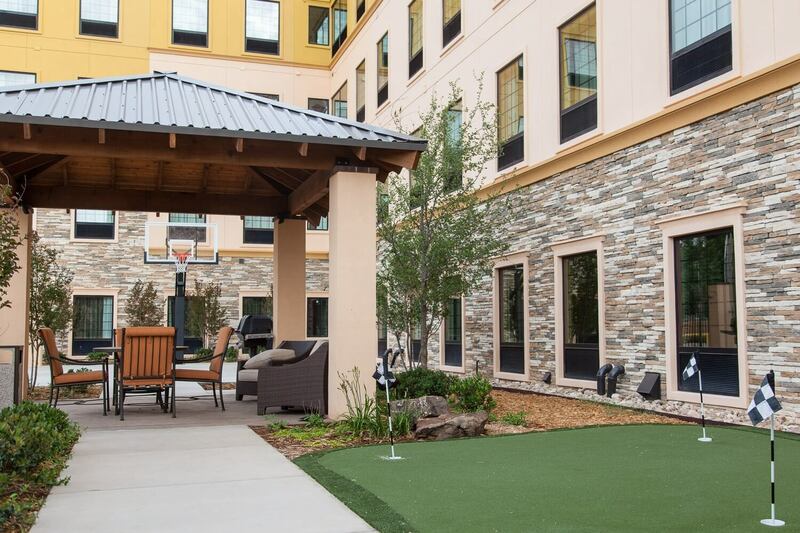 The new hotel opened last month with 120 rooms and a slew of perks for its guests, like free parking and complimentary WiFi, a fitness center complete with free weights, a half basketball court and patio. Not to mention, the property is pet friendly! 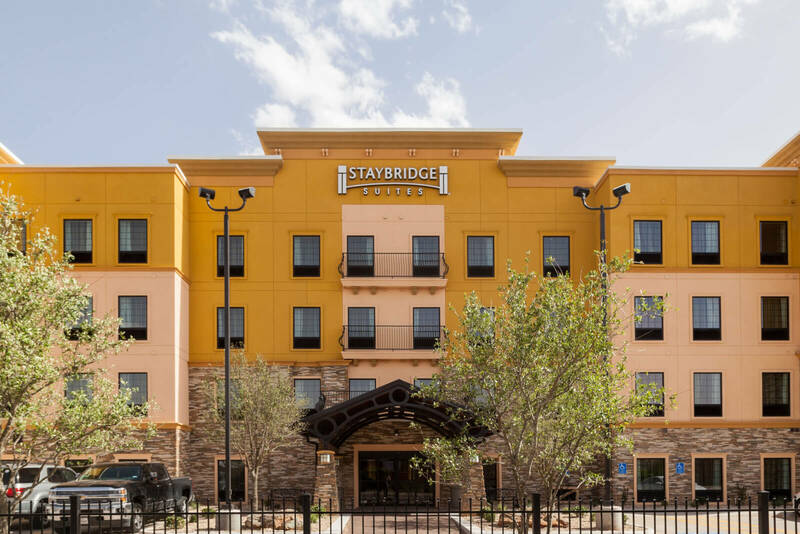 At Staybridge Suites Lubbock South, each room is set up with a queen or king suite, full kitchenette and a sleeper sofa. Also, guests will enjoy a full breakfast buffet in the hotel lobby each morning. Good news for transient travelers and visitors who choose to stay a few extra days – the rates are tiered, so the longer you stay, the better the rate. If you’re staying at the hotel Monday through Wednesday, savor food and drinks at the hotel’s social hour each night from 5:30 – 7:30 p.m.
As for business travelers, Staybridge Suites Lubbock South offers 900 square feet of meeting space available for use as one functional room. 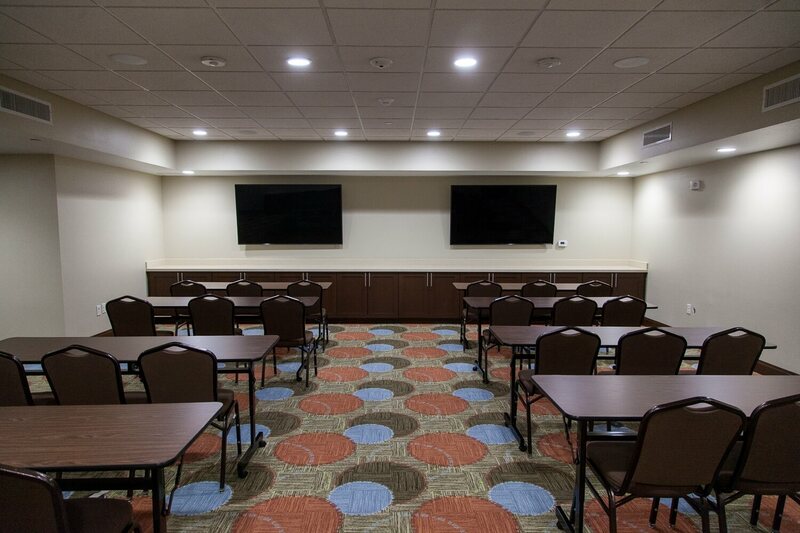 Seating 50 people in classroom or banquet style, the space is equipped with two flat-screen TVs and a projector. And, it doesn’t hurt that the hotel is located directly behind a plethora of delicious restaurants like Chuy’s and BJ’s Restaurant & Brewhouse. For negotiated rates contact the director of sales at sales@staybridgelubbock.com. Enjoy your stay here in the “Hub City,” and don’t forget to share your time in Lubbock using #livelovelubbock for a chance to be featured on our home page.